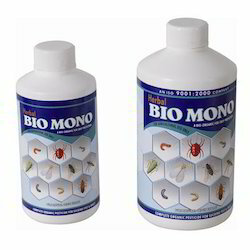 Herbal Bio Mono is formulated from natural plant extracts. It is a liquid concentrate which can be diluted with water and easily sprayed on plants. Garden Pest Control Service, Owing to the threat of bacteria, we apply a long lasting disinfectant to products. Our deft professionals follow the environmental norms and ensure that our offered pest control does not contain any harmful chemicals and can avoid any microorganism threat. These services are highly acknowledged in the market for their reliability and cost-effectiveness. 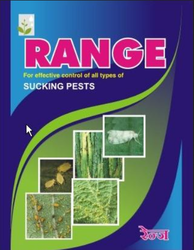 We are leading service provider of Herbal Pest Control. We are a successfully ranked amongst the leading organizations, engaged in providing superior quality Herbal Pest Service to the clients. Kushi Crop Care & Co. Location: Actocare Now pest control services Np,F-31,Ginger Square Mall,Jaripatka,Nagpur. Our firm is well reputed among patrons for providing best range of Herbal Pest Control Services. This controlling service is reliable. Professionals work in close coordination and provide this controlling service in lesser time and with complete safety from pests and used chemicals. Capitalizing on the competence of our skilled and diligent personnel, we are instrumental in presenting broadly recommended Max Herbal Pest Control Treatment. Provided services are delivered and imparted by a crew of skillful personnel as per pre-set industry norms and standards. In addition to this, we offer these services at most economical rates to our clientele. We are instrumental in providing our customers with Herbal Pest Control Services that is health friendly and organic process and non-toxic, eco-friendly and advance herbals are used .This process is not harmful and there is no need to remove furniture, kitchen cabinets, electrical appliances etc as it is totally safe process.